The hip measurement determines the right size as it has a narrow cut. If you have a full cup (D+) we recommend ordering up for a good all-over fit. This 50s Classic Sheath Velvet Swimsuit is a 50s inspired swimsuit in a luxurious velvet fabric! Be a divine velvet diva at the pool in this A-MA-ZING swimsuit! This retro beauty gives you the perfect pin-up look due to her halter top with pleated sweetheart neckline and super flattering skirted typical fifties front. Suits all body shapes and is incredibly slimming thanks to the composition of the fabric and the clever design. 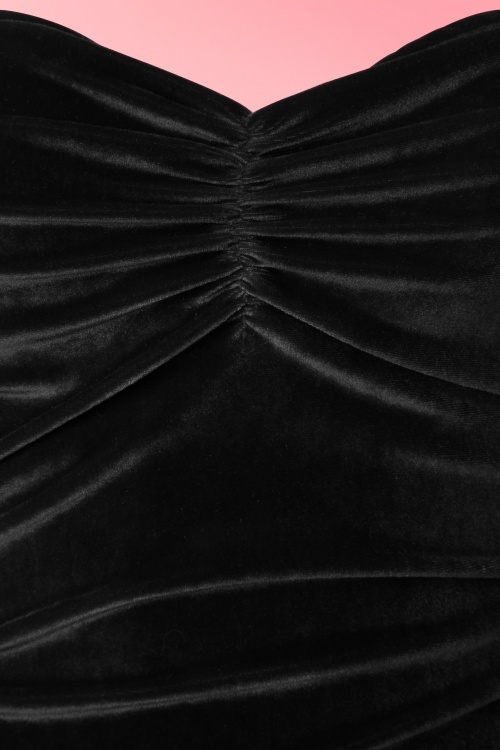 Made from a luxurious, soft and stretchy, black velvet fabric for the ultimate vamp look. 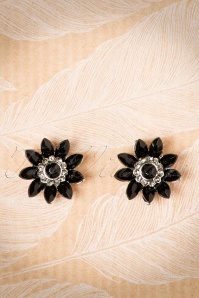 Your vintage swimwear collection just can’t do without this showstopper!